For this year’s Easter post, I thought I’d share an abbreviated version of what we do at my church. We’re a tiny congregation, which affords us the luxury of some habits which would be more difficult in larger congregations. On holidays, particularly Easter and Christmas, our worship service involves Scripture readings by members of the congregation, with our hymns and praise songs interspersed. The Scripture readings are hand-picked to tell the story of God’s redemption of mankind, from beginning to Christ. I pray that you are blessed by what you read here. Here’s my favorite scene from my favorite Christmas film (and one of my favorite fantasy films). This holiday is when we celebrate how God sacrificed Himself in order to love and save us, who were His enemies. The story of Scrooge is so powerful because it speaks to this, showing a man redeemed from the evil that was in his heart. And this scene especially, for it shows him receive instant, undeserved forgiveness from those who loved him in spite of himself. It’s beautiful. Goodwill and peace to all of you this happy day! This time of year can be horrendously stressful and unpleasant for all manner of reasons. I’m no stranger to that side of it. But my peace is in Jesus Christ, and because of Him and what He did this day is happy. May you experience and give patience, forgiveness, and compassion in joyous abundance. Thank God for the Irish! Greetings and well met, friends. Perhaps you remember my review of The Secret of Kells (2009) some time ago, and how much I liked that movie about the beautiful illustrated Bible that “turns darkness into light.” It’s a beautiful movie in many ways, not least because its art is a simple joy to behold. However, if there was one thing the movie could have used more of, it’s the Book of Kells itself. Such glimpses the movie gives us of its brightly colored illuminations is only enough to whet the appetite. Fortunately, that appetite may now be sated. 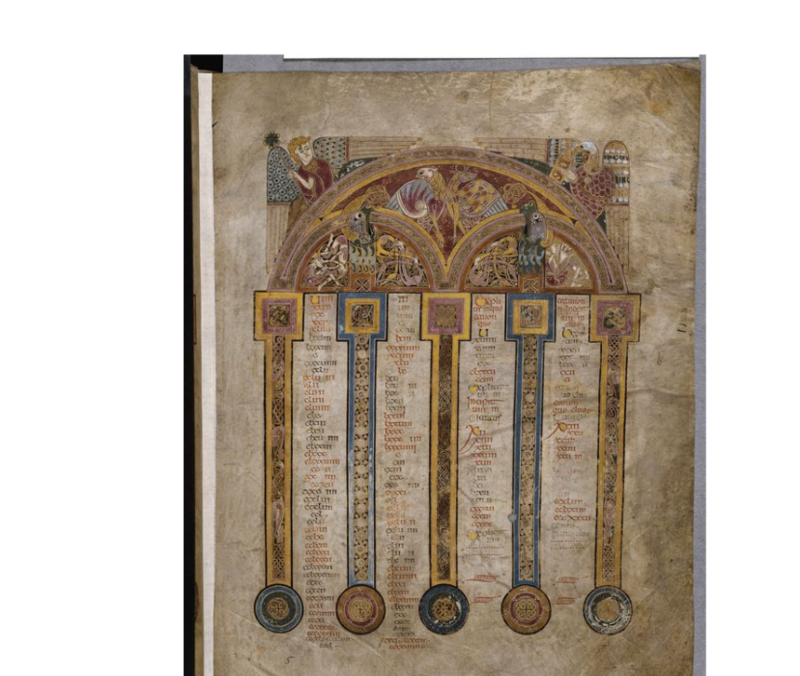 In honor of St. Patrick’s Day, Trinity College Dublin has made available for free viewing online the entirety of the Book of Kells, scanned digitally so that every colored line can be clearly seen. Follow the link to enjoy the beauty of art that glorifies God!